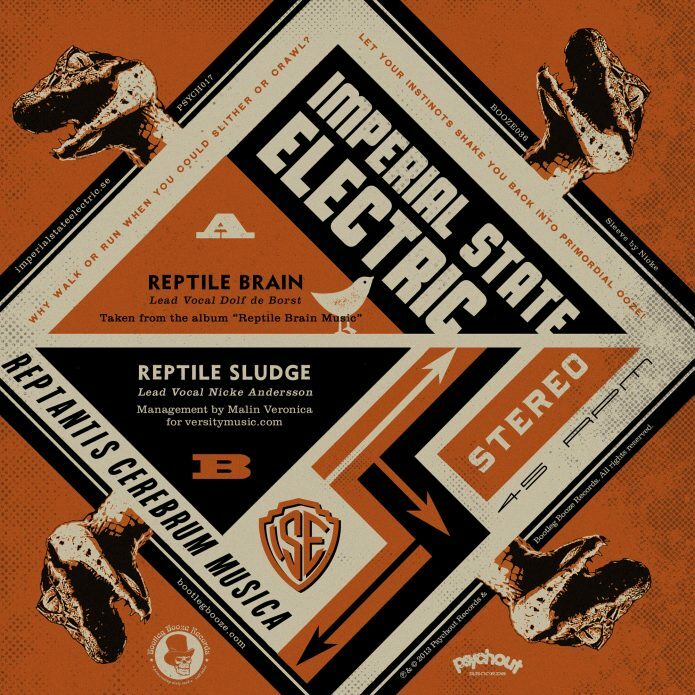 Imperial State Electric is entering phase 3 in it’s ongoing battle against mediocrity. An endless quest to make the rock roll. 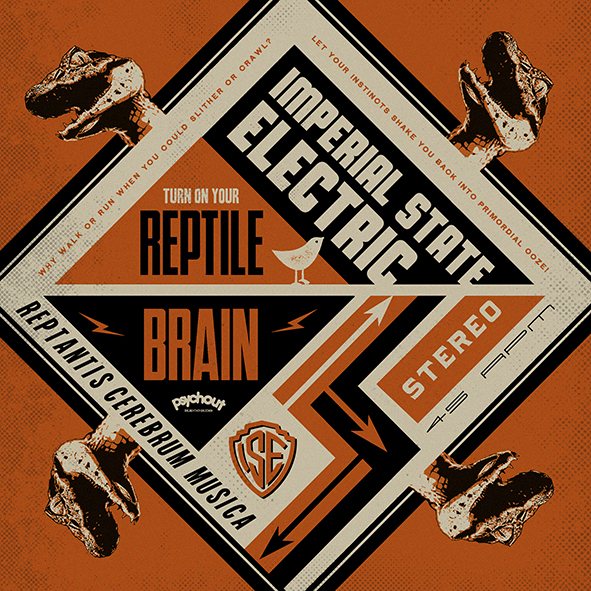 Armed with a new album called “Reptile Brain Music”, due for release in late November, the first attack is set to October 18th with the 7″ vinyl single “Reptile Brain”. 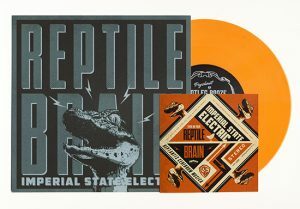 “Reptile Brain” is backed with “Reptile Sludge” which is basically a sludgier take on the A-side with Nicke singing lead. 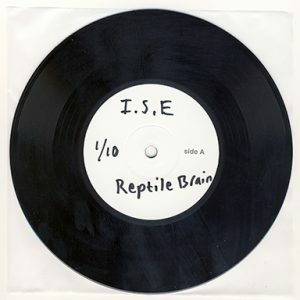 Exclusively available on this single. Why “Reptile Brain Music”? Dolf: – We want people to bypass some of their pseudo intellectual abilities when it comes to music and art. 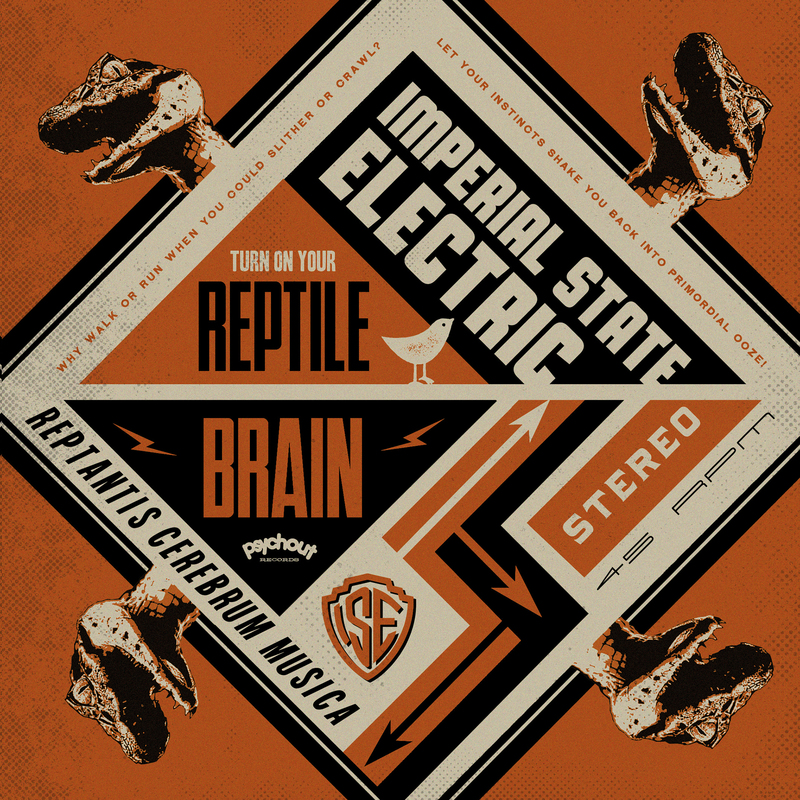 Turn on your Reptile Brain and get with it! 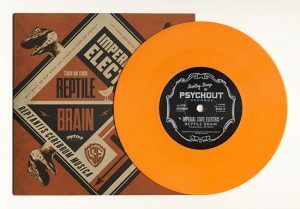 875 copies on orange vinyl. 125 copies on orange vinyl with a limited edition cover and sticker for members of the Boozersclub. 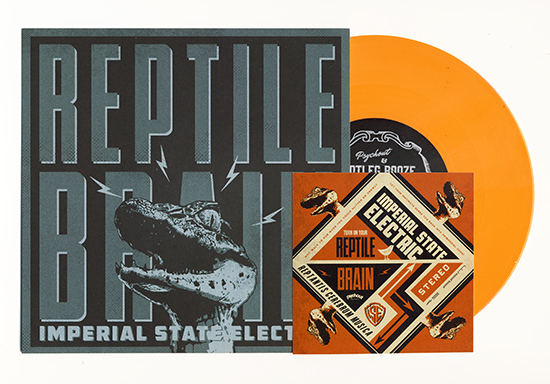 20 copies on orange vinyl comes in a imitation leather bag with laser engraved ISE logo + stickers. View all reviews of'Booze036' here.